I'm really excited to share with you the full review of our grey and yellow themed lounge, which we transformed in terms of decor and layout last year, and have just updated with some new finishing touches and two feature walls - with a little help from Posterlounge. If you saw my mini makeover part one post last week, you'll have seen that we turned one big wall into a feature wall using eight alternative movie poster prints from the Harry Potter franchise that I picked out from the range online at Posterlounge. I love everything to do with the wizarding world of Harry Potter and these posters are so fun and really make an impact. But I didn't just stop at one wall. Oh no! 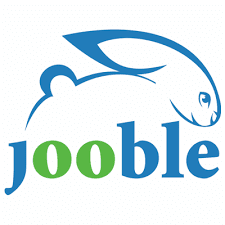 So, the summer holidays have begun and so too have the days our, special events and great offers to be had. 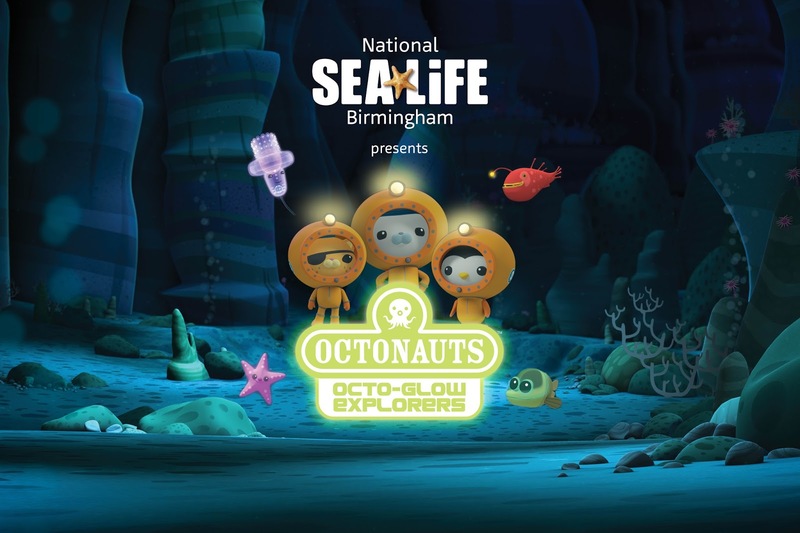 This is the last summer break for us before Ethan starts school and whilst we are still at work, with some holiday time, we are packing lots into our weekends and have a summer wishlist / bucket list of things we want to do - and one of them was to visit the new Octo-Glow event at National Sea Life Centre Birmingham. Ethan is a HUGE fan of the Octonauts and still talks about when he first met them at the Sea Life Centre a couple of years' ago. He also LOVES going to visit the penguins, sharks, Dori and Nemo fish (as he calls them) and the sea turtle too and last weekend was no different. The Gruffalo is perhaps the most read and most loved book in Ethan's library, and a firm bedtime reading favourite since he was little, which is why I am excited to announce a new link up between Organix and Chessington World of Adventures Resort with this special competition. We recently went to Chessington World of Adventures Resort for Ethan's fourth birthday, specifically as they have the new Gruffalo River Ride Adventure, and when we started our weaning journey, Organix was a range that I always had in the cupboard - and still sometimes do as their organic baby / toddler snacks are really handy to have and Ethan loves them. 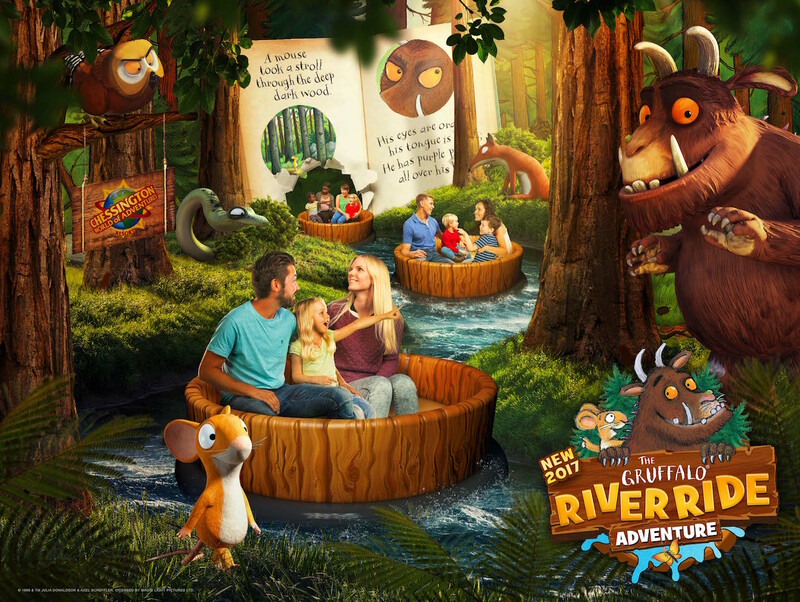 Organix Goodies has partnered with Chessington World of Adventures Resort and its new Gruffalo River Ride Adventure to offer little explorers (and us mums and dads too) the chance to GO FREE! Mini lounge makeover part 1 - with a Harry Potter feature wall! So, I may love the Harry Potter books, films and world and I may have the Deathly Hallows symbol tattooed on my arm, and we may have called one of our new rabbits Gryffin, but I'm not a complete fanatic - I just love the magical wizarding world, like I'm sure many of you do too. It all started with a lovely email from the friendly people at Posterlounge - a great online site that specialises in (you guessed it) posters, and canvas prints, in a choice of sizes to suit the space you have, on a whole host of themes from art and film to music and motivational quotes. They asked if there was anything I might like to review and that's where I quickly became obsessed... I discovered really quirky versions of the film posters for Harry Potter, where the essence of the film is captured through a number of icons. The minimalist design was clever and eye-catching, and I've always liked alternative art like this as it's fun and playful. Of course, I couldn't just choose one of the film posters from the franchise, so I quickly added all eight to my basket and thought I'd work out where to put them later (possibly going up the side of the stairs). A trip to Ikea for frames would be needed! Ever since the funny yellow creatures appeared in the original Despicable Me film a few years ago, it seems that the Minions have taken over and stolen many hearts - including that of my son. With their silly antics, funny language and crazy capers, it's easy to see why they appeal to children (big and small) and with the latest film instalment, Despicable Me 3, it's time to go bananas for the yellow guys in dungarees all over again. A firm favourite for many, if you have a child who's a Minion fan or know someone who is, then you'll no doubt love the new dinner and cutlery sets from specialists Arthur Price. The perfect gift and something that will last a lifetime, these gift sets are really quite special and a must for any serious Minion lover. I've thought about writing this for a while but then just as quickly, I don't have the words or don't want to say anything at all. I am the kind of person who likes to keep busy, particularly during tough times, as routine and having something to focus on helps me to cope - or at least feel like I am. I've been doing fine. I think. I feel it, most of the time. But when I stop, even though I keep looking ahead but just want to stop for a minute, I feel a bit lost. Not sure what to do when the distractions fall away. I want to write something, by means of update on here, but mainly as a way to just get it out. And to tell people that it's ok to feel this way; not knowing how to feel, or what to say. I don't think I can say a lot, but at the same time I want to say something. Because, in my experience, there aren't a lot of people around to provide support, or to talk to you or advise you or care for you. It's hard for me to say because it means that it happened. 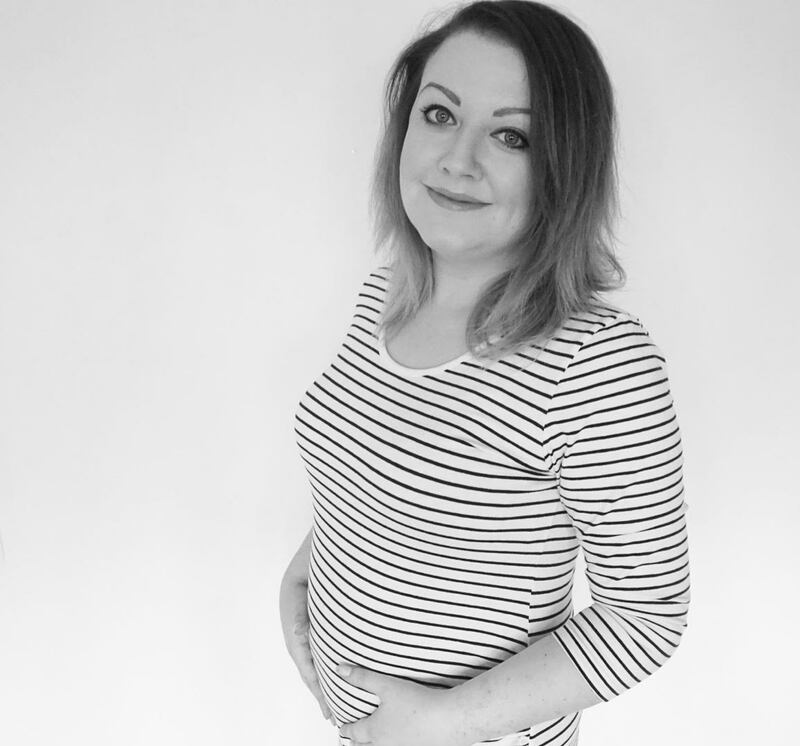 Just over three weeks' ago, I had a miscarriage. I was 14 weeks when it happened. At my 12 week scan, instead of seeing a 12 week baby, there was just a gestational sac the size of a 5 week pregnancy. And no visible sign of a baby. Hubs and I left broken. There was no support offered, just an early pregnancy scan appointment made for two week's time. We were left alone. With questions, with worry and with little hope - although I tried desperately to find answers, to find hope. My dates weren't wrong. My body may have believed I was pregnant, with all the signs as you would expect, but the one appointment we had told us that we were wrong. We faced two long weeks, the longest of our lives, before knowing for sure. Three days before the early scan, I started to bleed. Two days before, I miscarried. Although it's what we had expected, I had tried my best to cling on to hope. Hubs was by my side, but we were alone. No-one came to see us, or told us to go and see them; not a midwife or a doctor or a sonographer. "You can do this at home, no need to come in." Straightforward, matter-of-fact, no further advice at all. Just hubs and I. Coming to terms with what we had lost, no matter how early. It was the thought of what was going to be. We'd spent three months daydreaming about the baby we were going to be having. I had every symptom, and we were so excited. The baby came and went almost like a dream. There is support out there but you have to find it. Despite the fact that miscarriage is as common as it is (something you only find out more about when you have to (because nobody wants to know about the reality, the possibilities, really), there just doesn't seem to be the support system in place. Unless you find it yourself or find someone to ask for it. But, for me, I didn't know what to ask. What to say. How to feel. The same way that people don't know what to say to people going through this. I haven't a clue what someone would say - I didn't know how to articulate how I was feeling and had no idea what would help. Everyone handles things differently and I guess we all find our own way. My way has been to take some time but to use routine to keep me busy and help me move on. The practical side of my brain tells me that everything will be ok, and it will be and we have been. It's been the toughest thing we have had to go through but with Ethan and so many reasons to be grateful, and to keep going, life continues. We will never know what could of been. And we may always wonder. But we have each other and I will take comfort from what we do have - and what we might be lucky to have one day. We all know that play is an important part of a child's development and it's great to see your little ones running around and playing free. It can be hard though to not feel anxious, worried that they are going to fall and hurt themselves - and I know how protective I am when Ethan is out and about. Scraped knees and bruises are part and parcel of being a preschooler, and Ethan seems to have quite the collection. Boys, eh?! He doesn't seem to mind or notice though and I think of it just being a sign of how much fun he is having at this age. And boy, is he! His new preschool building has been updated and has a bigger garden with different areas to play in, and inside it's bright and colourful too. Just like the local playgrounds we take him to, with their wet pour playground surfacing, we know that when he is playing with his friends, he is having a great time and has soft nursery surfaces around him so that he can't do himself too much mischief. I've written before about my interest in mindfulness as a way to help with everyday wellbeing. I received a book about becoming a mindful parent a couple of months' ago and there's still a few things from this that have stuck with me and resonate. 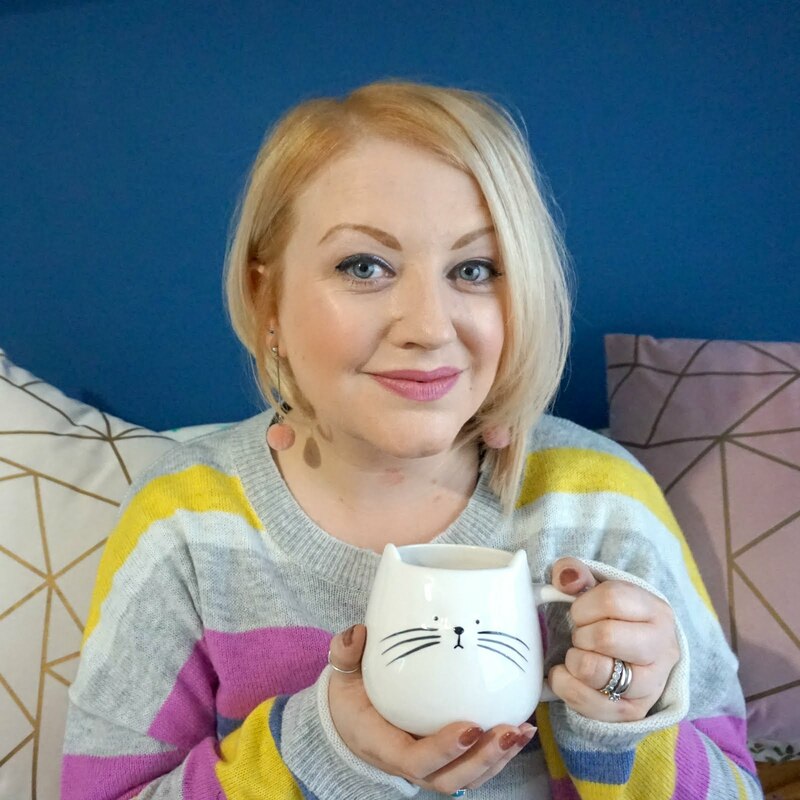 Mindfulness is a bit of a buzz work, and another trend of late has been Danish inspired living - anyone get a bit obsessed with Hygge last autumn/winter? Well, there is a new mix of the two that other parents like us may be interested in - a meditation book to help children sleep from a Denmark. 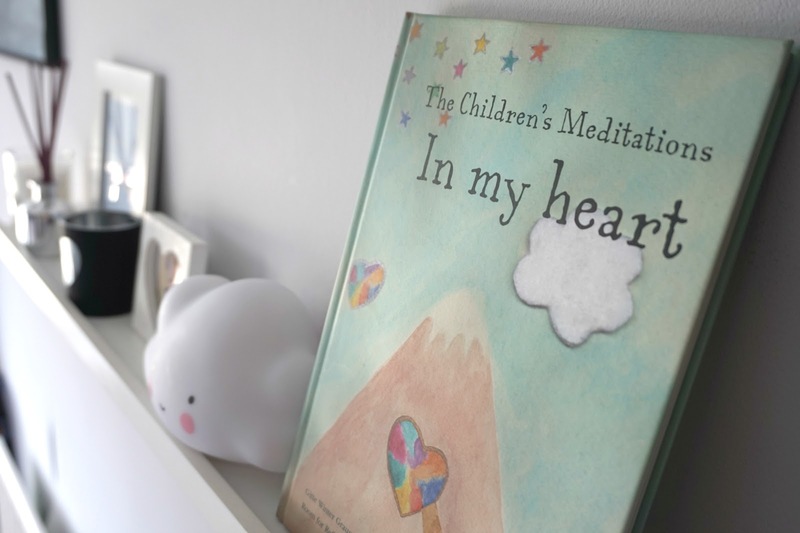 The Children’s Meditations In my Heart, by emerging Danish author Gitte Winter Graugaard, promises to help children to fall asleep within minutes. Now available in three different languages, it is beginning to change bedtime routines the world over - so you can see why I was keen to snap up one to review! Ethan is a pretty good sleeper by all accounts now, as you'd hope for aged four years old, but we do still have to take some time to settle him in the first place. Hubs and I take turns each evening to put Ethan to bed, reading him one story (or three) and playing songs, with more success in a shorter time span for hubs than for me. So I'm keen to find ways to help us reduce the bedtime settling routine and to help Ethan relax into sleep quicker, as some nights it can take over an hour for me. Today you welcomed into the world the baby girl you have hoped and dreamed of for the past nine months, and more. 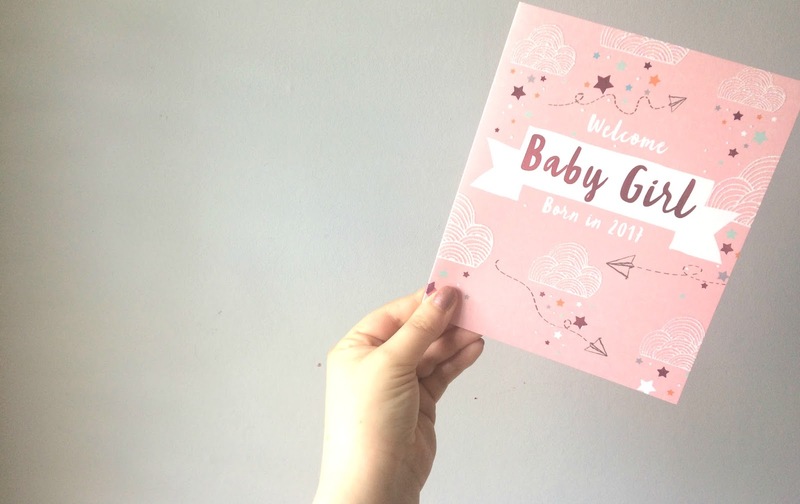 Your bundle is fresh and new and whilst you start to memorise every little detail of her face and breathe in that newborn smell, you'll no doubt find your mind racing ahead to the days, weeks and years ahead of you. What will it feel like to bring her home? How will you go from being a two to a three? What will she grow up to be? It's such an amazing time and one that you can't really describe. Everything is new, you're terrified that you might break her and you realise that there really is no handbook delivered with your baby. You go home when someone else tells you too and you're allowed to just take her with you and start caring for her. Just like that. With no guides. No step by step instructions. This is it - you're a parent now. But it'll all come to you and whichever way it does, however you feel and whatever you choose, it'll be the right choice for you and for her. I don't think anyone really knows what kind of parent they will be or how they will find all the new experiences. The summer holidays are nearly upon us and for many families, that means six weeks of fun and sun... and thinking of great ways to spend the time, with new places to explore and the kids to keep entertained. There's no doubt that this can be an expensive time of year for parents but thanks to Vileda's new Kids Go Free campaign, you can scoop up a free kids voucher (with a full paying adult, worth up to £46.80!) to many popular national attractions - Alton Towers, Sea Life Centres, The Sanctuaries and Legoland Discovery Centre. 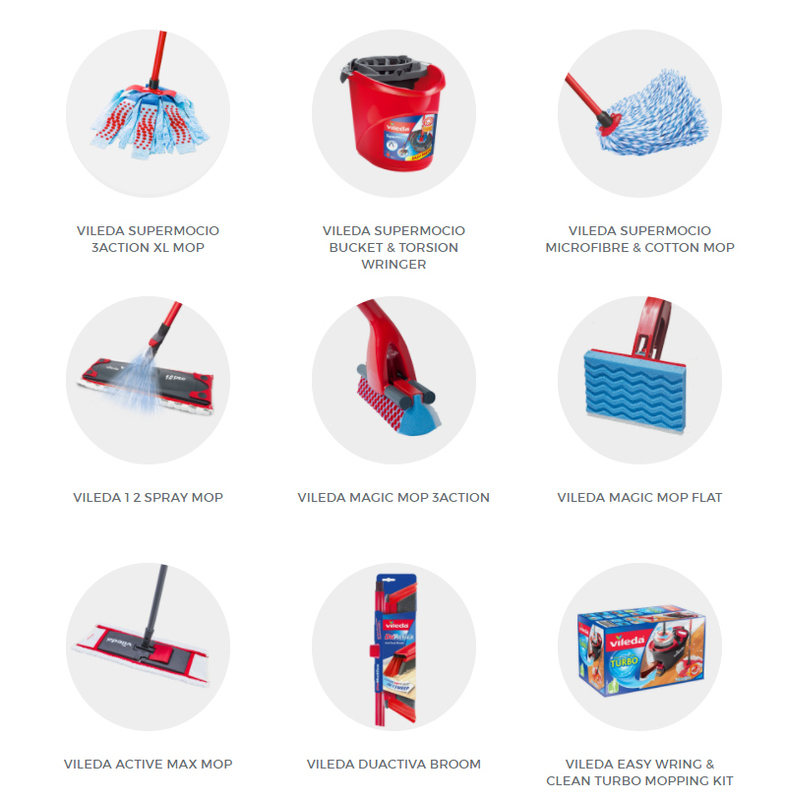 So not only can you sweep away the cobwebs inside your home this summer, using any of the nine leading Vileda products included in this special offer, you can get out and enjoy the holidays at a top destination for far less pennies. There's a great range of really handy helpers included in the promotion - I actually have the best selling Supermochio mop and can confirm it's very useful to have (read my full review here). 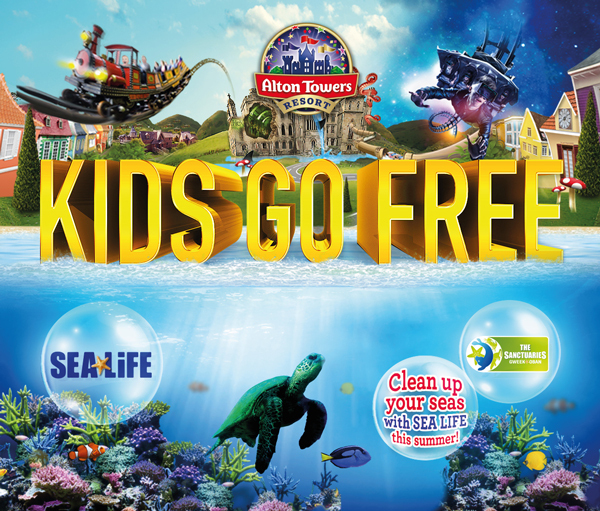 To celebrate the launch of Vileda's Kids Go Free campaign, I have a set of family tickets to any Sea Life Centre of your choice to offer one lucky reader. 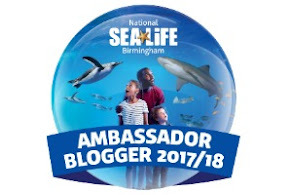 We are a big fan of Sea Life in our house, having been ambassadors for The National Sea Life Centre Birmingham, and can thoroughly recommend it as a great day out. 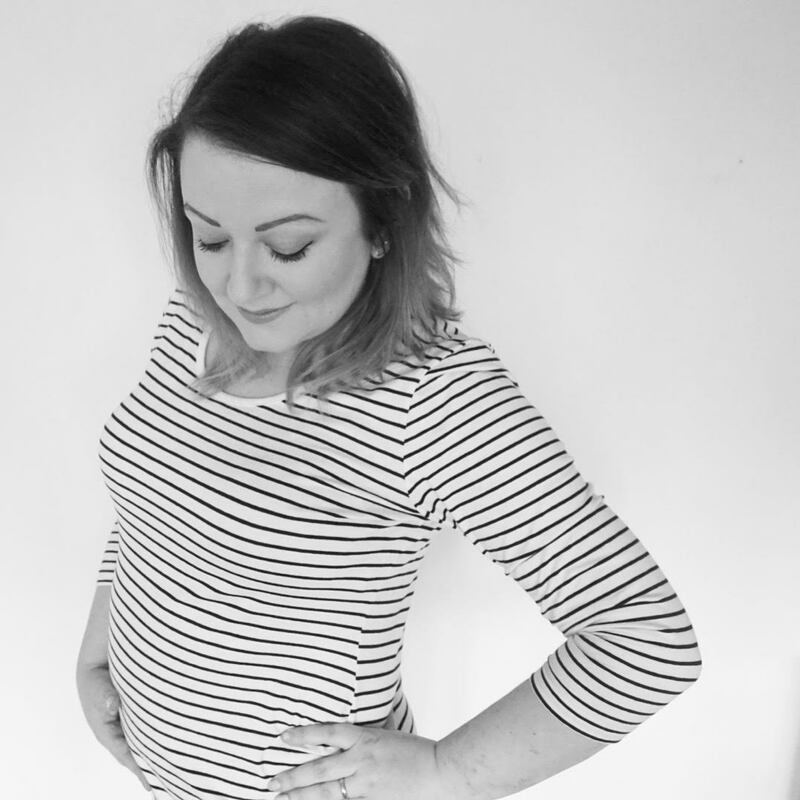 As a super busy mummy, it can seem difficult to find time to fit everything into your schedule. With exercise, food shopping, laundry, work, family, friends and even just fitting in some down time can be a struggle. It is important to spend quality time with your children. It is just as important to have some you-time. In order to be the best role model to your children, we should live a good and full life. Friendships are an important part of any person’s life; they give us a place to share secrets and joys and to offer receive and support. It’s about having someone to talk to about your problems, share a giggle with and just be there for you when you need them. Yet, as busy parents, it’s often difficult to prioritise our own friendships. 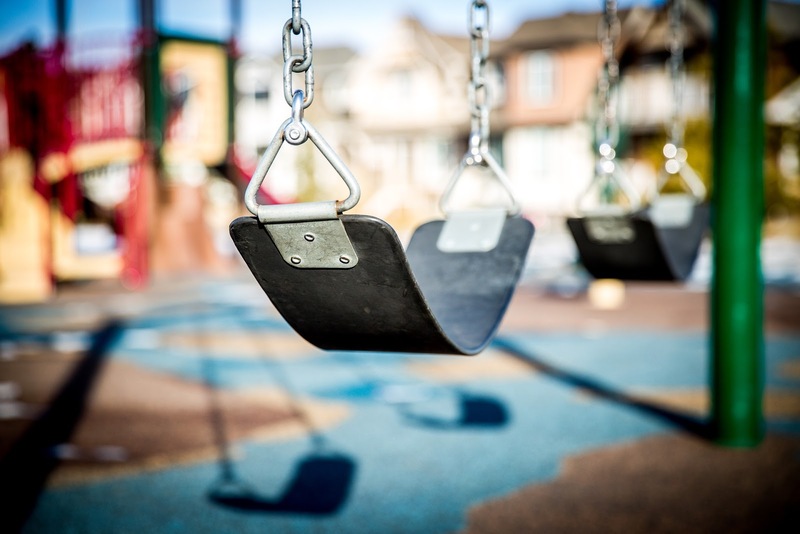 We juggle playdates, parties and trips to the park for our children to ensure they get all the social intersections they need, but this often leads to us leaving our own friendships out of the equation. 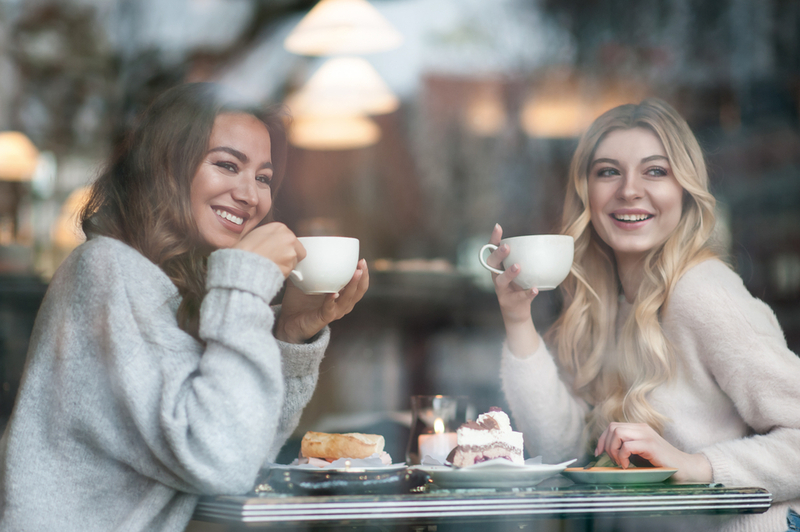 Here are some tips to help you maintain your friendships and fit in quality time, for even the busiest of mums.